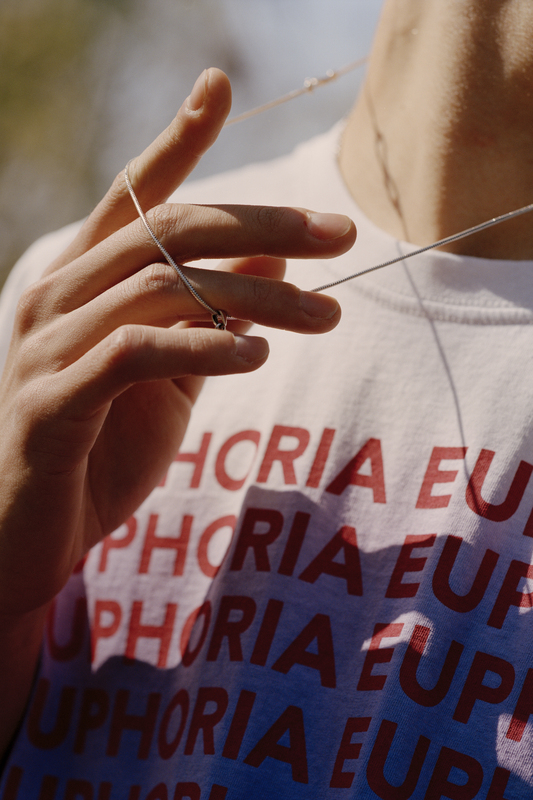 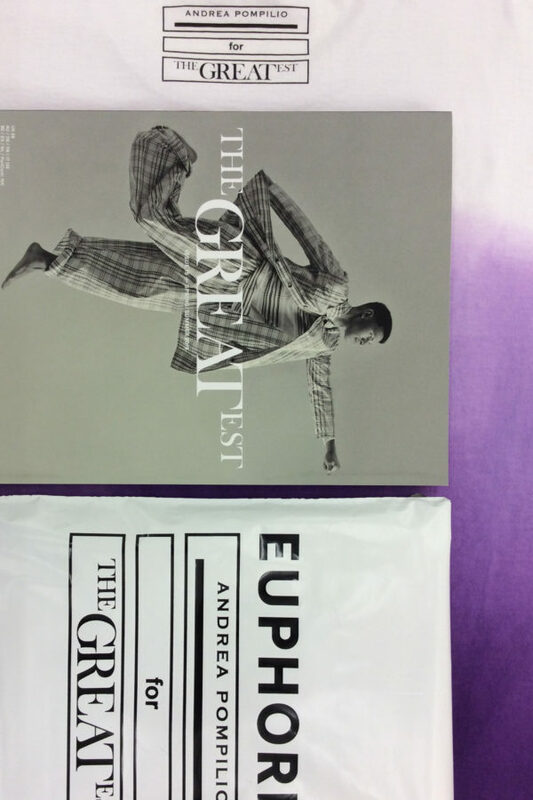 “EUPHORIA” This is our claim to celebrate the 15th issue of THE GREATEST magazine. 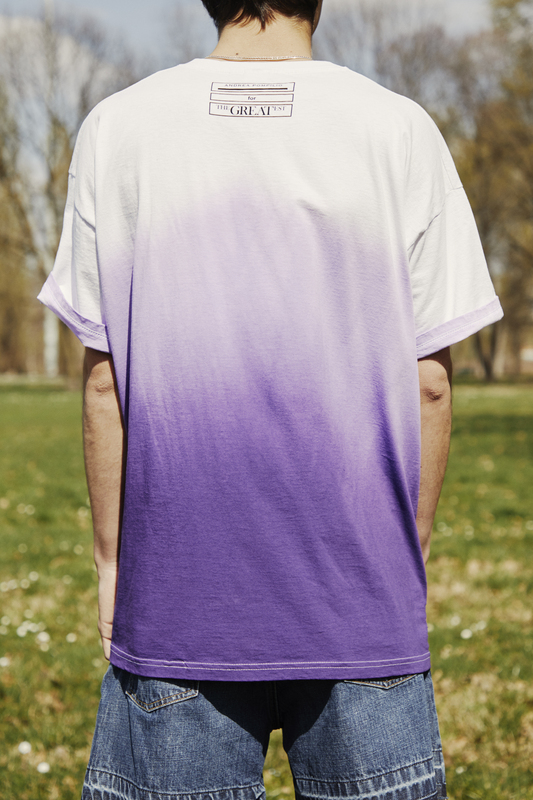 A white and purple TYE-DIE handmade t-shirt printed on the chest. 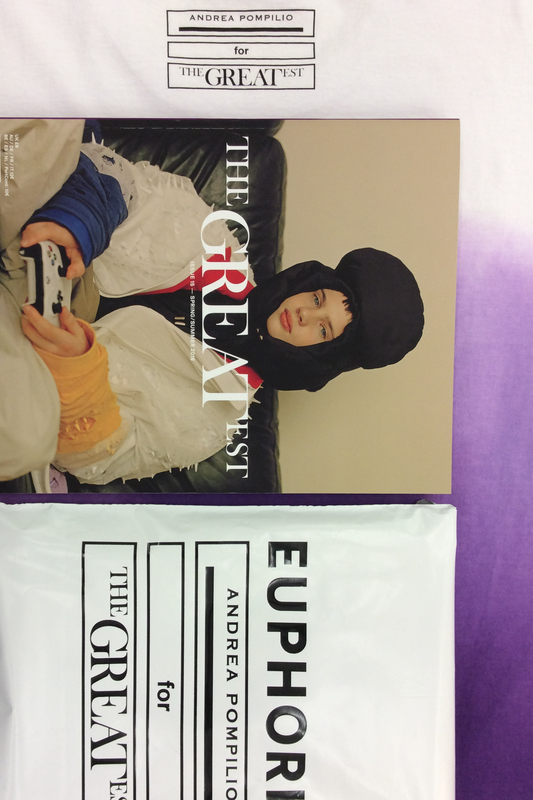 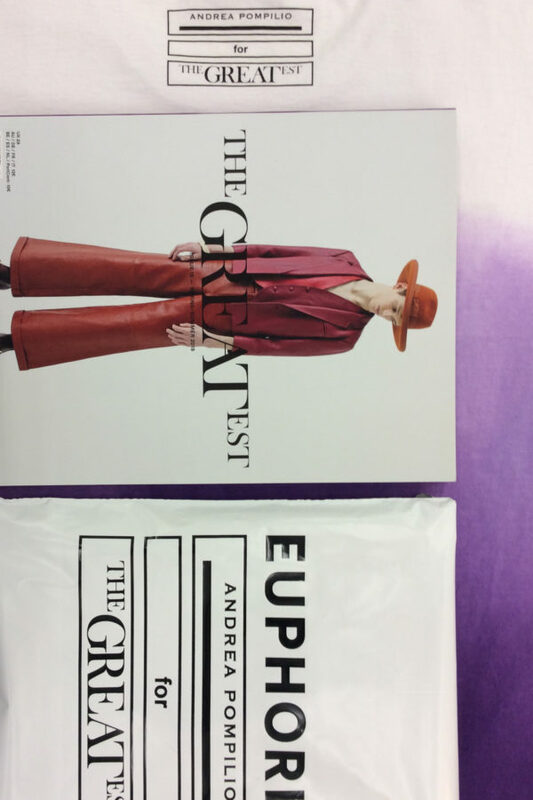 The covers of THE GREATEST magazine will be selected randomly when ordered.